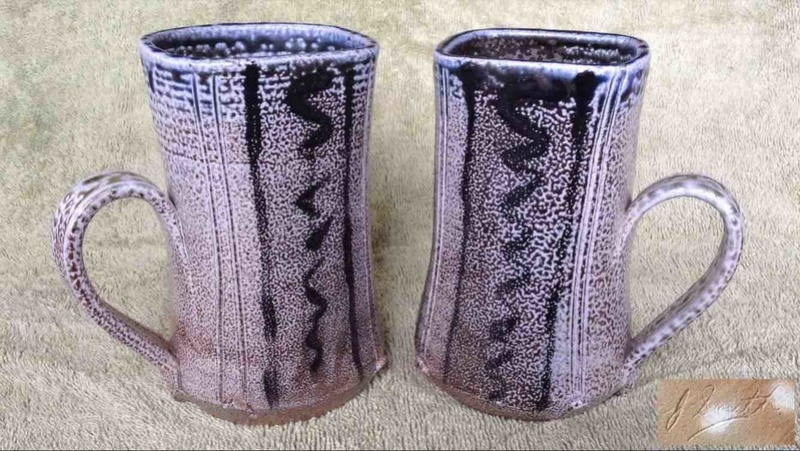 Two tall salt glazed (wood fired) coffee mugs with squared tops marked J Smith, bought on trademe. 128mm H, signed "J Smith"
You must have a really great collection of NZ Studio pottery now. 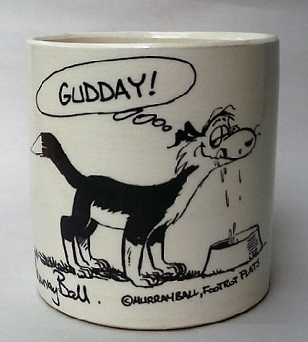 I know of one other collector that collects mugs and has done for many years.